i dont eat oreo coz it taste tooo sweet for me, so i choose #10.
i not from a rich family but i love wear nice clothes heheee. 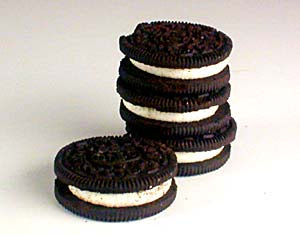 NOWWW I know what Oreos are. They look soooo good. I have never had them before coz we don't have it here, so I don't know hehe. mine is number 2!! i'm normal!! Yaya, one of my friend told me the same thing like you wrote.